The Next Elvis by Barbara Barnes Sims now on sale at Audible! Lee Ann is pleased to announce the newest addition to her recordings. 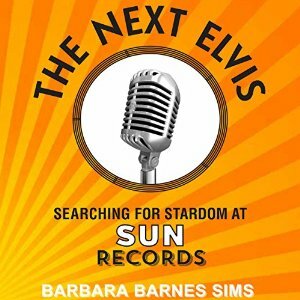 The Next Elvis: Searching for Stardom at Sun Records by Barbara Barnes Sims is a nonfiction account of what it was like for a young woman in the 1950’s to work at Sun Studio in Memphis. To listen to a sample and/or purchase, you can find the book on Audible here. Posted by lahowlett on June 30, 2015 in Uncategorized and tagged audiobook, Barbara Barnes Sims, Lee Ann Howlett, music history, Sun Records, The Next Elvis.